Fushimi. Say it aloud and the very sound of those soft syllables seems refreshing. This is not inappropriate. The name originally meant “underground water”, and Fushimi is famous for its springs. The water from these underground sources is soft, mellow and is held to be particularly delicious – perfect for sake production. Many sake breweries thrive in this area and Fushimi sake is renowned as the perfect complement for Kyoto cuisine. 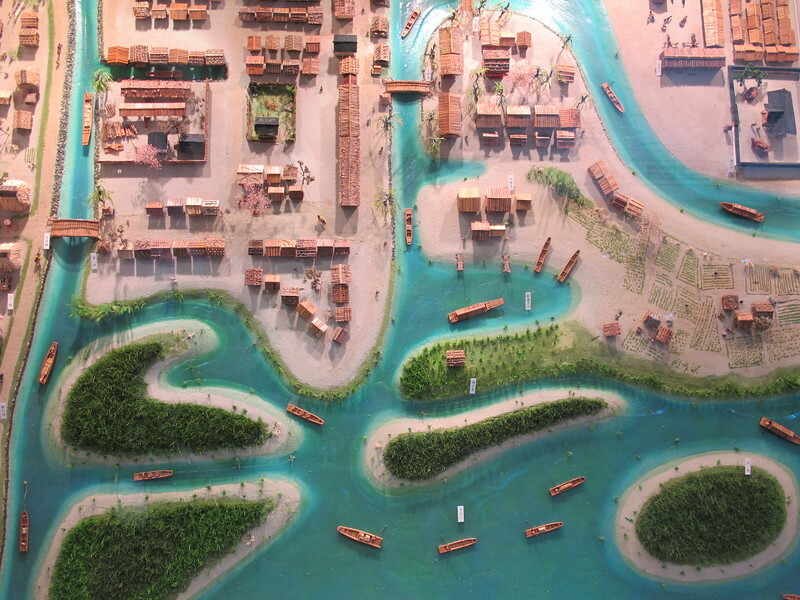 Historically the waters of Fushimi also made this area an important hub of transport and trade. 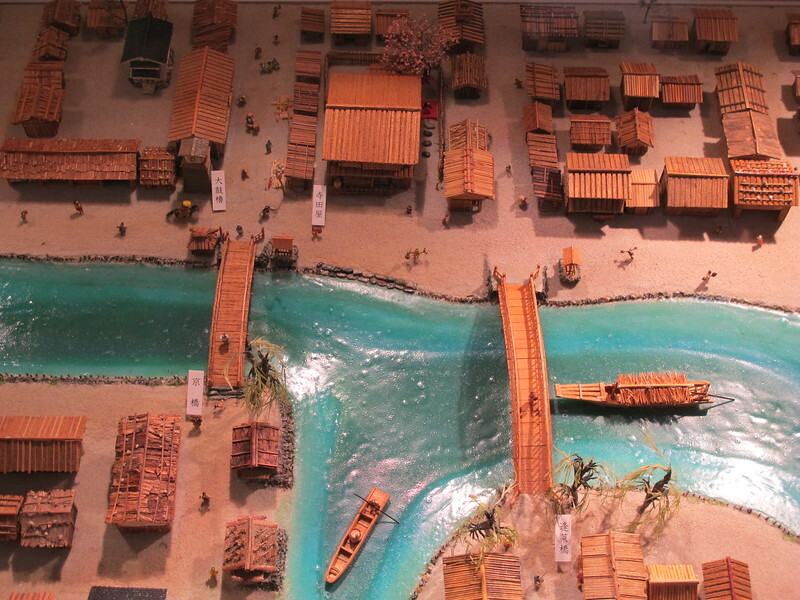 Here the confluence of three rivers, the Uji, Katsura and Kamo, and an intricate network of canals were put to good use, sending rice, sake and other goods between the cities of Kyoto and Osaka. However, before we cruise Fushimi’s waterways, or sample its famous rice wine, let us first pay our respects to the deity of rice! 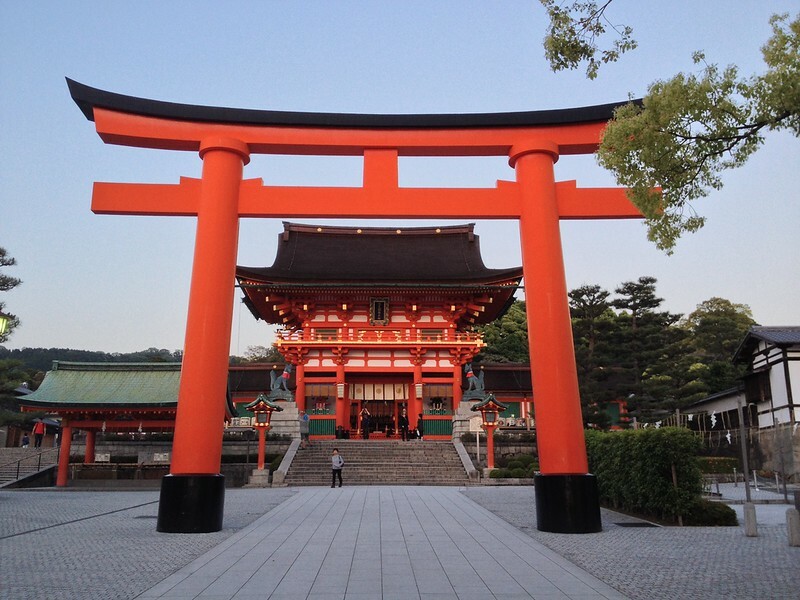 Fushimi is a big district but its most famous and popular location is Fushimi-Inari-Taisha Shrine. Tourists flock to visit this site dedicated to Inari, the god of rice. 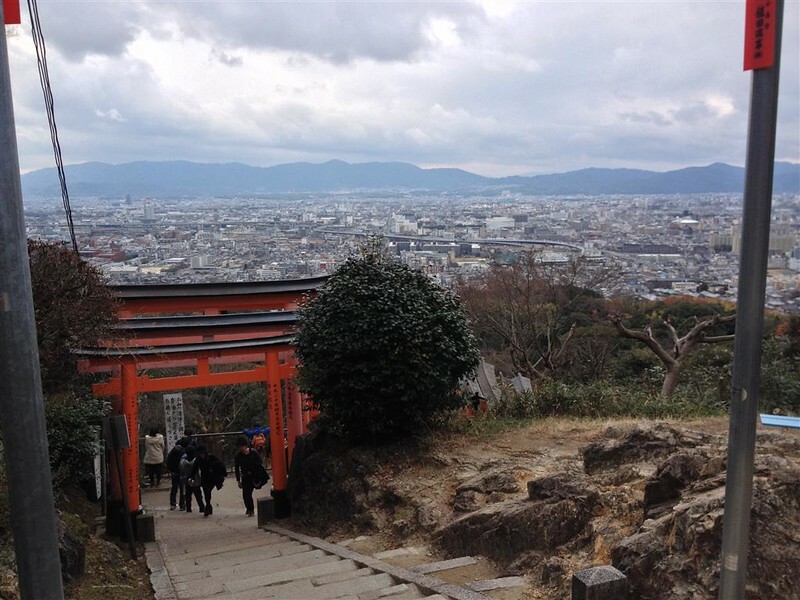 Climb through the endless corridors of vermilion torii gates that line the paths of Inari Mountain and you will be rewarded with spectacular views over the city. In 2014, TripAdvisor users ranked Fushimi-Inari-Taisha Japan’s top tourist attraction. Fushimi-Inari-Taisha can be accessed via JR Inari Station or Keihan Fushimi Inari Station. If you go, be prepared for crowds. However, if we follow the train lines south and venture deeper into Fushimi, we can discover a quieter, but no less fascinating area of quaint back streets and tree-lined canals, steeped in history and sake culture. Take the Keihan line south from Fushimi-Inari Station and get off at Chushojima. 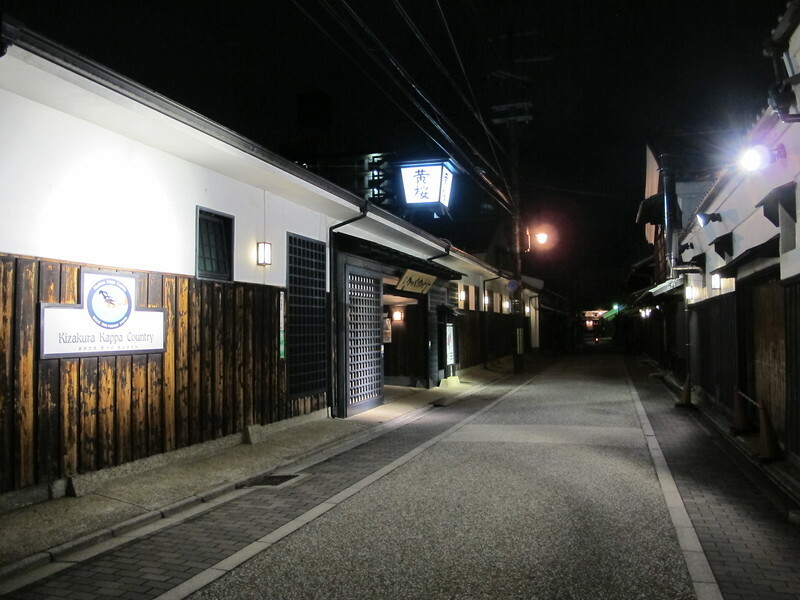 You are now at the heart of Fushimi’s sake-brewing district. Walk north till you reach a canal and Choken-ji Temple. You will recognize it by its red walls and massive gingko trees. 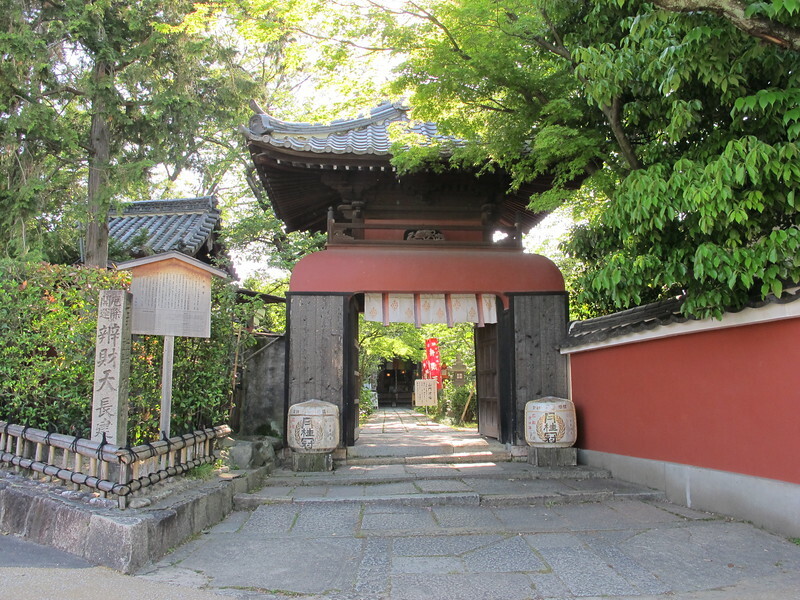 The temple is dedicated to Benzaiten, the only female member of Japan’s seven lucky gods. Originally an Indian river deity, her Japanese incarnation is primarily a patron of water courses and those who ply their trade on the river. However, by extension she is also held to be a deity of everything that flows: words, music, knowledge and, of course, sake. Artists and musicians pray at this shrine to keep their inspiration flowing and local businesses pray here that their profits keep flowing too. This temple is open from 8am until 5pm daily. In a corner of Choken-ji’s grounds is a lantern. If you look closely at its base you can see a figure which represents Mary, the mother of Jesus. During the Edo period (1603 – 1868), Christianity was outlawed by the shogunate under pain of death. However, here and there some pockets of hidden Christians kept their beliefs alive. Many Christian families would hide Christian religious images within outwardly Buddhist statues, or as we see here they would carve a religious image at the base of a simple garden lantern where it could be easily concealed. A wooden sign by the lantern gives some information about the lantern’s origins. 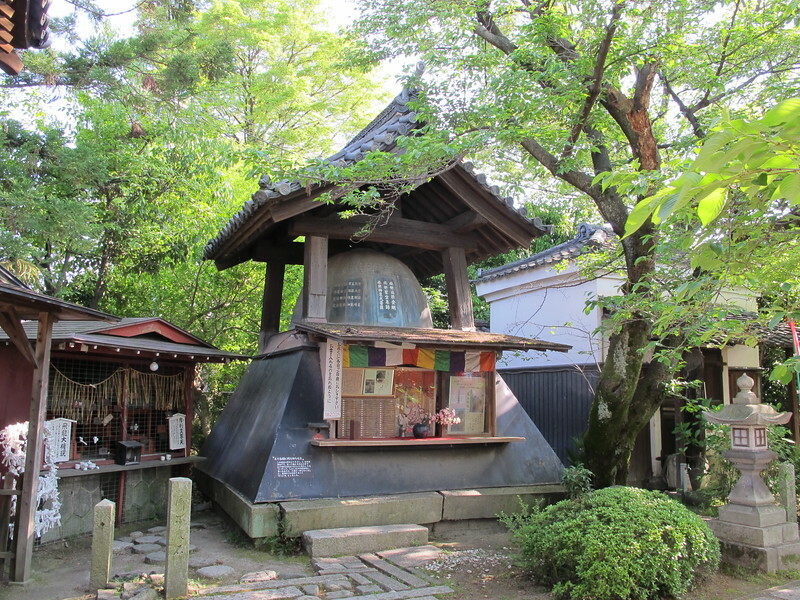 Apparently, the lantern was found in the garden of a 19th century tea-house, named Beni-ya. This was a high class business in the local pleasure quarter, whose girls would entertain members of the Imperial Court, and local hero Sakamoto Ryoma was also a customer. 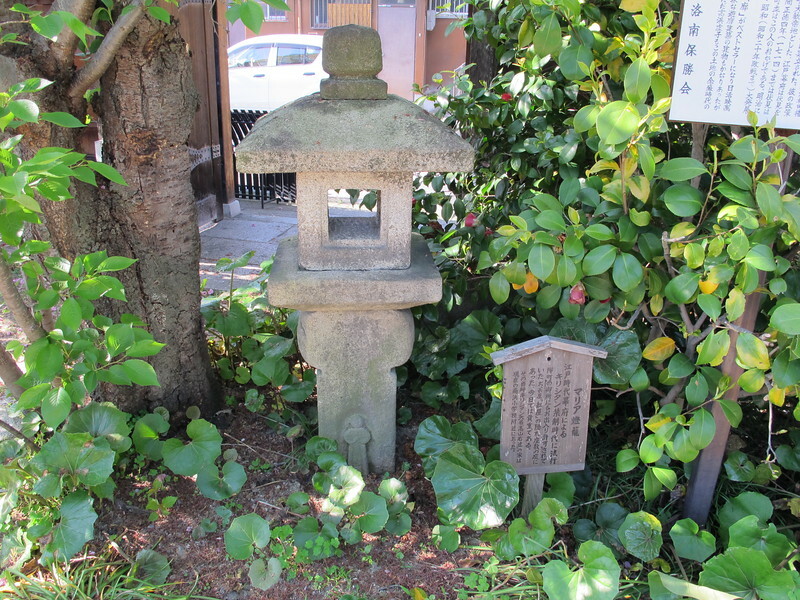 Beni-ya had a special hidden room for secret assignations, and attached to it a small garden in which they kept this lantern. How this religious item ended up in the secret garden of a tea-house is not explained. However, before being made illegal in 1614, Christianity had flourished in Fushimi. There was a church here (now the site of an elementary school), and Takayama Ukon (1552 – 1615), a powerful Christian samurai lord, had a home here. 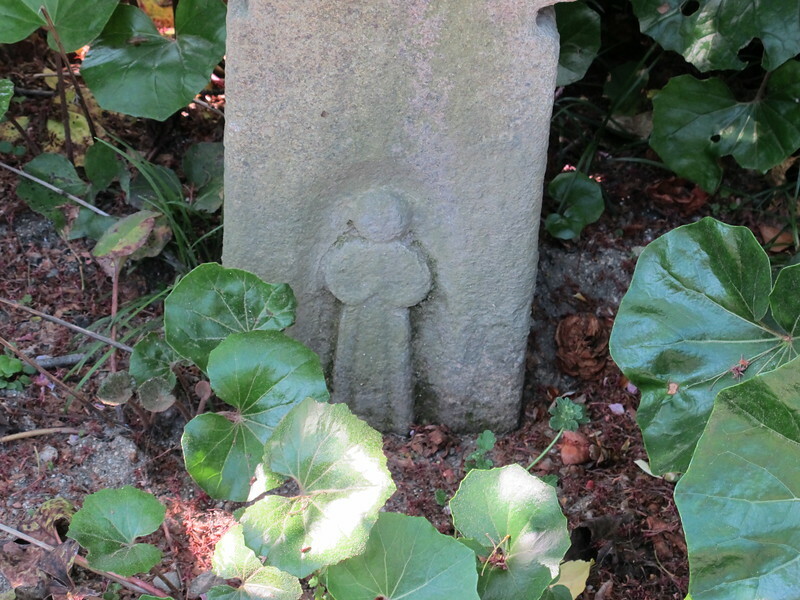 Doubtless some Christian families in Fushimi continued to keep their faith in secret. 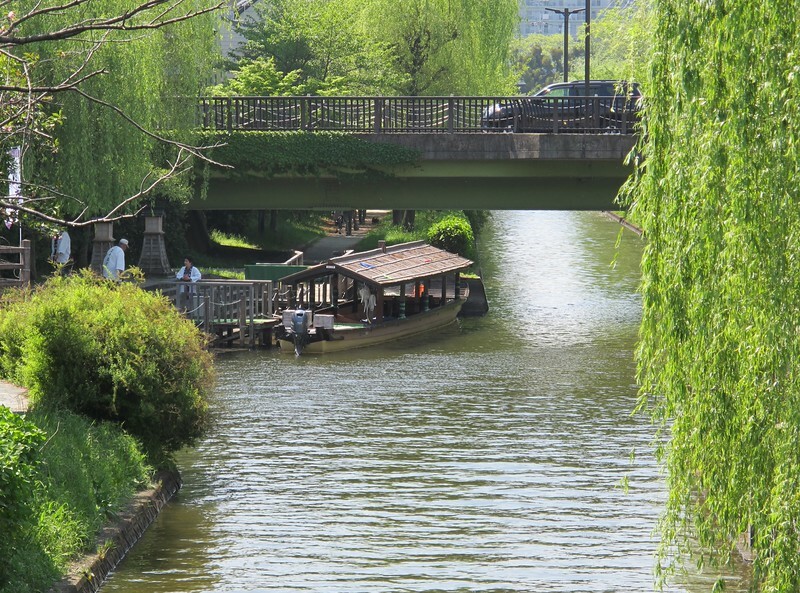 There is a bridge over the canal directly outside the entrance of Choken-ji temple that will take you to the boat launch for jikkobune canal cruises. 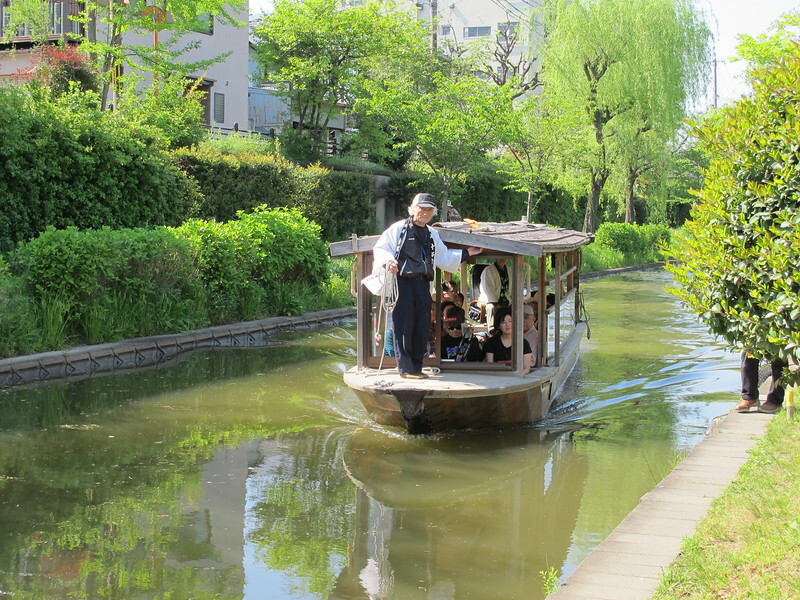 The jikkobune are the flat-bottomed boats that once carried rice and sake to and from Fushimi. 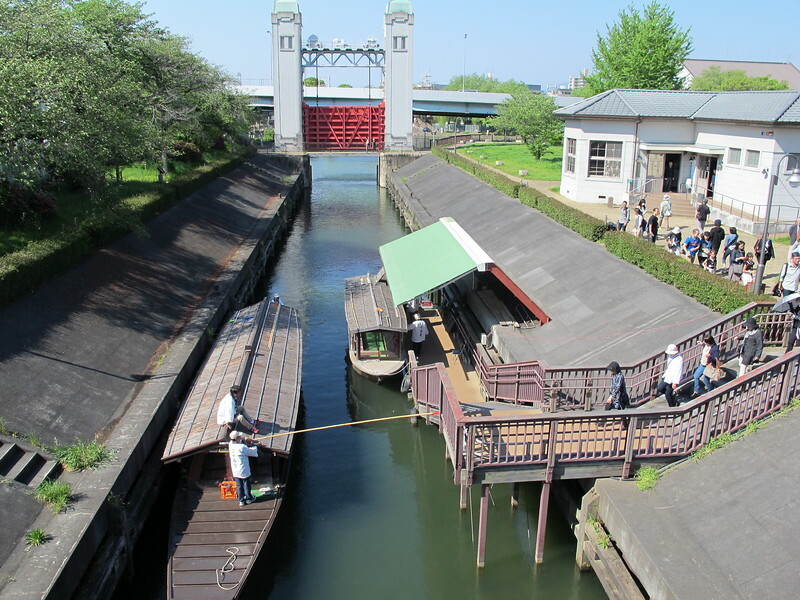 Now they are fitted out with seats for a very enjoyable 15 passenger cruise down to the harbor and lock gate that joins the canal to the Uji-gawa River. 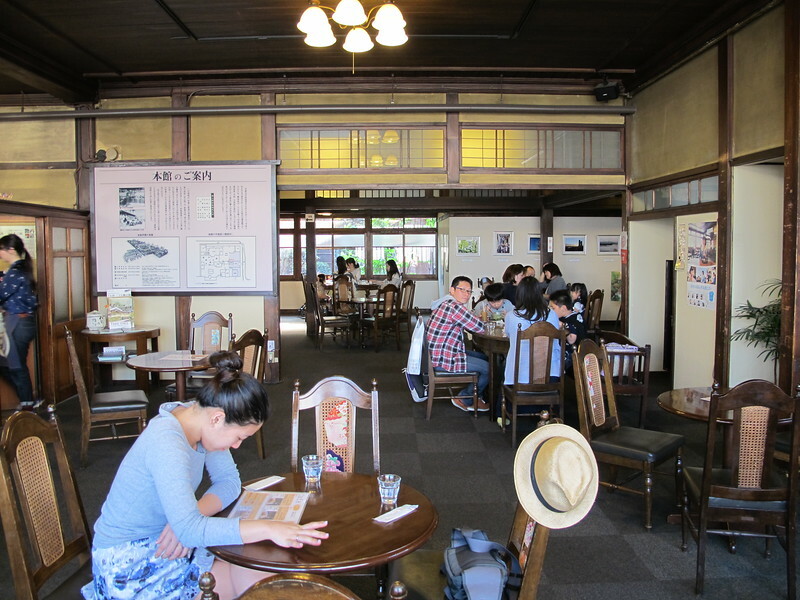 Here there is a small museum where passengers can take a short break. The information here is all in Japanese but the dioramas depicting Fushimi as it was in times gone by are still worth a look. Another boat will then arrive and pick up the passengers for the return journey. 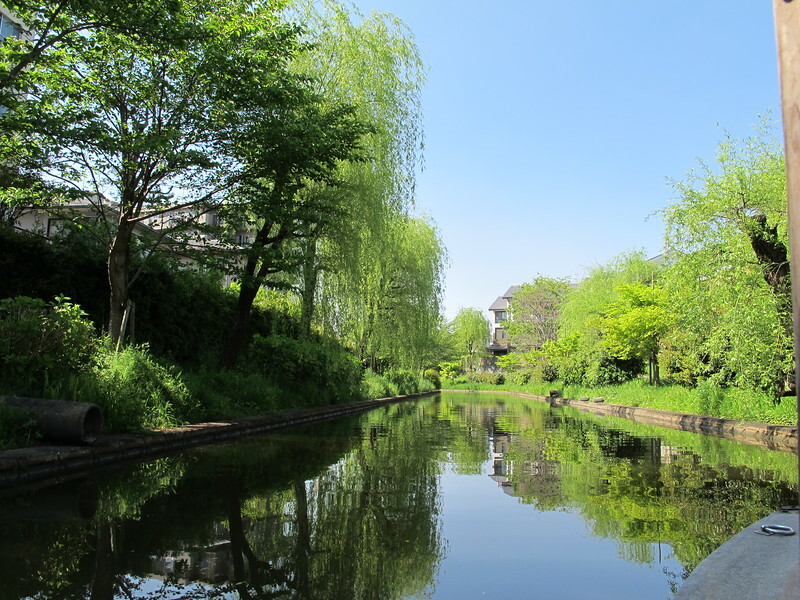 The canals are lined with willows and cherry trees, so at times you feel as if you are floating through a green tunnel. It is a delightfully relaxing experience that I would highly recommend. These tours last for 55 minutes and cost 1000 yen (500 yen for children under 12). When you buy a ticket for the next available tour, you will be asked to come back at least ten minutes before the tour departs as it takes time for everyone to board the boat and get ready. 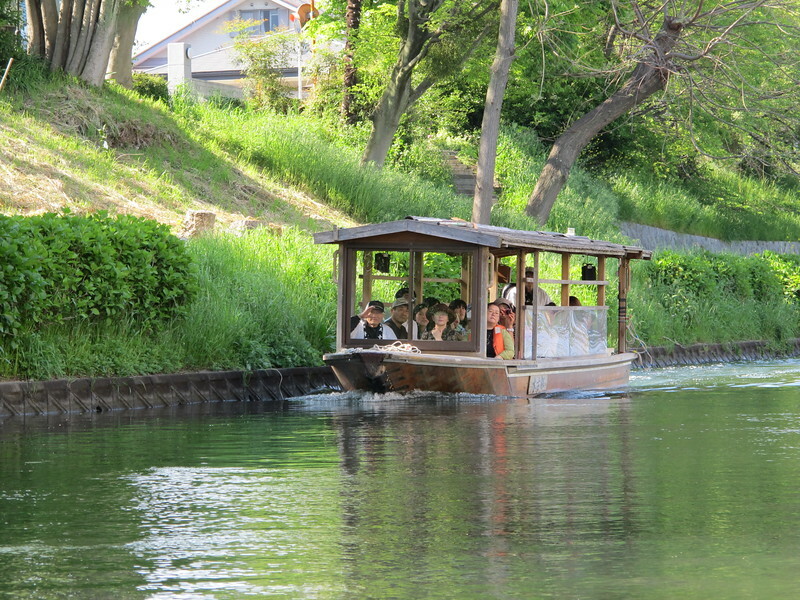 There is also another tour in a larger 30-seat boat that starts at a launch point near the Teradaya Inn, and that lasts 40 minutes. Jikkokubune canal cruises are only available from April 1st until November 30th and the schedule changes according to the season. Check the website for availability and have someone Japanese interpret the finer details. Gekkeikan is the most famous of Fushimi’s breweries, and is also one of the world’s oldest companies having been founded here by Jiemon Okura in 1637. 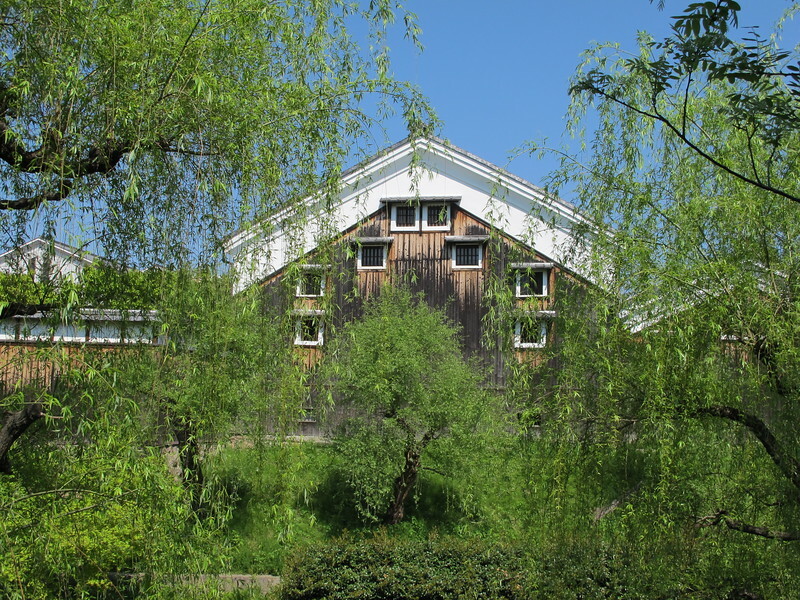 The Okura Kinenkan is a former sake warehouse that has been converted into a museum. It is a beautiful old building situated conveniently, right behind the launch for the Jikkokubune. Whichever way you look at it, the 300 yen entry fee for this museum is an absolute bargain. 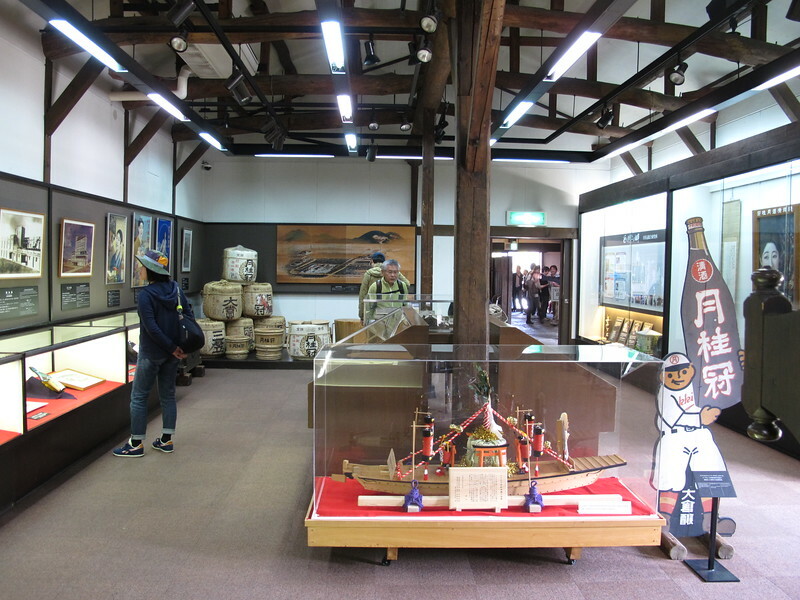 The admission fee not only includes entry to the museum but also includes a free tasting of sake and plum wine. You also receive with your ticket a small plastic bottle of sake to take away with you. It’s excellent marketing of course. I enjoyed all the sake I sampled there and I liked the plum wine so much, I bought a bottle to take home with me. 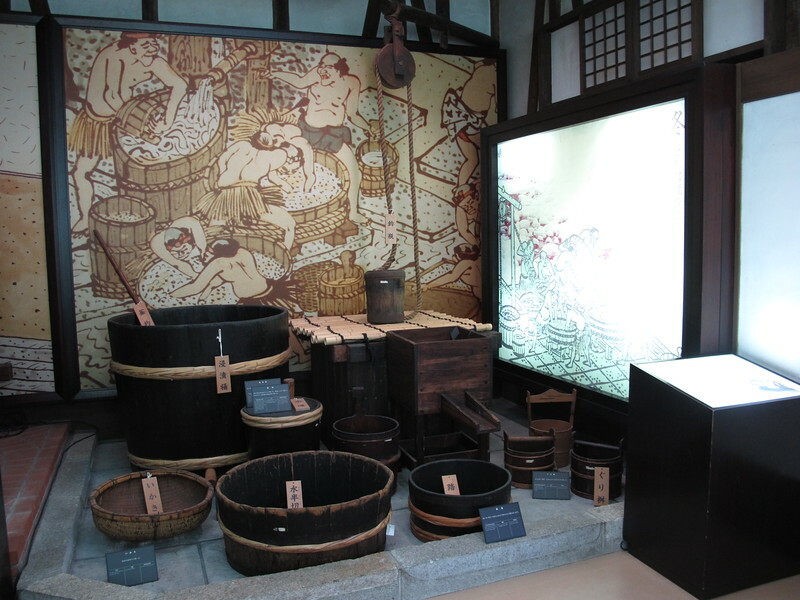 The museum features tools and artifacts that explain traditional sake making methods as well as items related to the history of the company. English explanations accompany the displays and as you wander about the exhibits you can listen to recorded folk songs from the pre-Industrial era that workers in the breweries would sing to accompany their labors. Check the museum website for details of its opening hours and an access map. You can pick up a free English pamphlet here which contains a detailed map of the local area. This will prove particularly useful in finding our way to the next location on our tour – The Teradaya Inn. 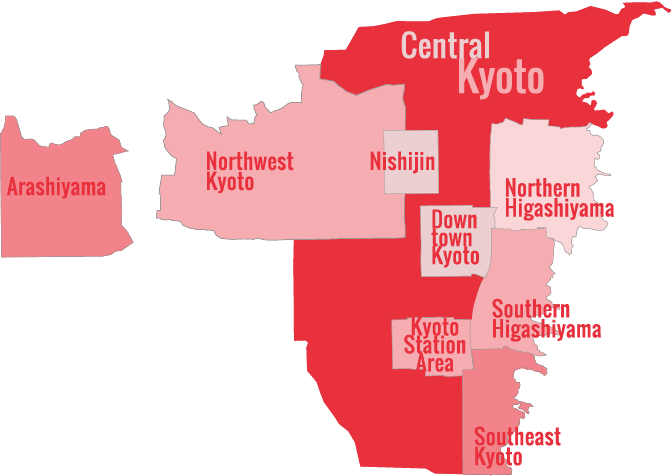 Following the map you received at the Okura Kinenkan, go north and then west to reach the Teradaya. In the 19th century Fushimi was a thriving river port and people would stay at this inn when traveling by boat between Osaka and Kyoto. 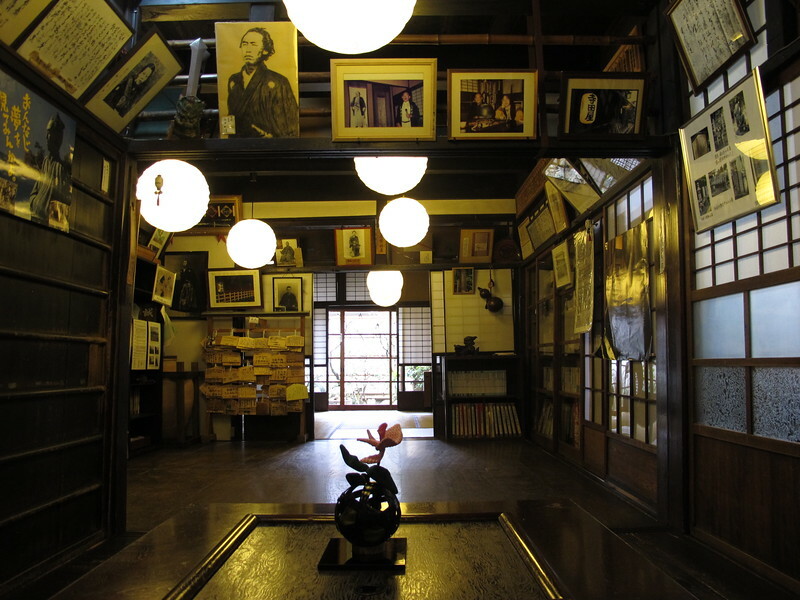 It is still a working inn today as well as being a museum dedicated to its most famous guest: the legendary samurai, Sakamoto Ryoma. Ryoma is a hugely popular figure in Japan. In a time when Japan was still ruled by a feudal military government, he was working with other revolutionaries for his vision of modern democracy. 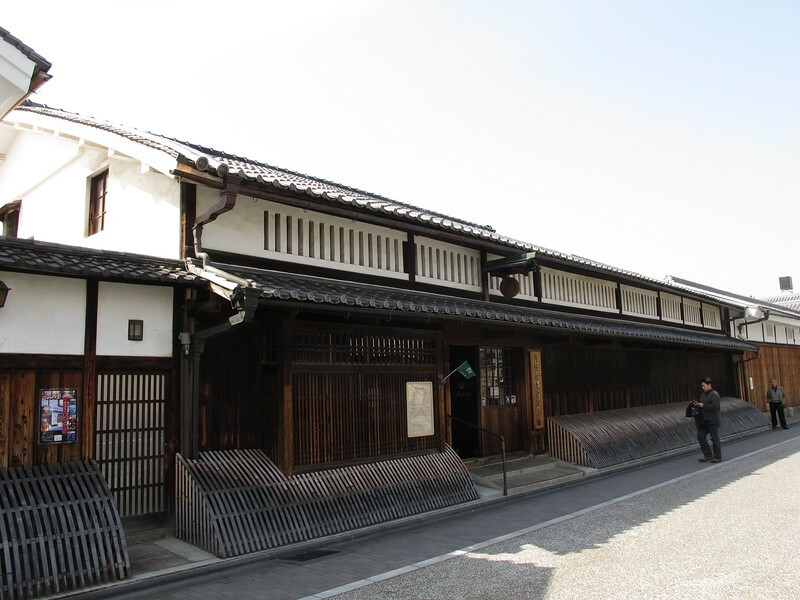 In March 1866, Ryoma was staying at the Teradaya Inn when it was suddenly attacked by pro-government forces. A girl, named Oryo, who was having a bath on the ground floor, ran naked up the stairs to warn Ryoma that he was under attack – and only just in time. Ryoma received sword cuts on his hands but with another comrade he managed to fight off superior numbers with his revolver and made his escape. 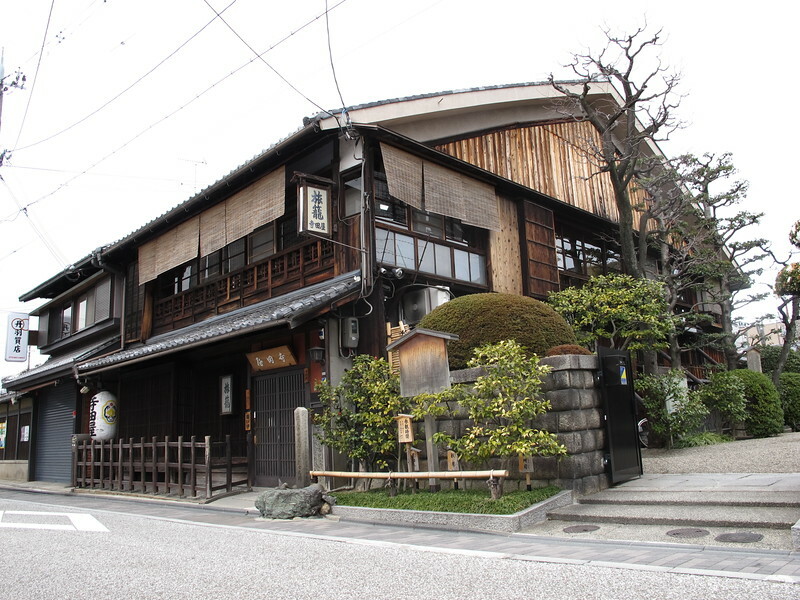 Later Ryoma and Oryo were married and departed on their honeymoon from this very Inn. This was the first honeymoon ever taken in Japan. Unfortunately, the displays at the Teradaya do not have accompanying English explanations. However if you are a history buff then a visit to this site is a must, if only to see the notch on a wooden pillar that is said to be a sword cut from that death-defying skirmish! Local business has done much to capitalize on the association with Ryoma, and his image is everywhere about Fushimi. 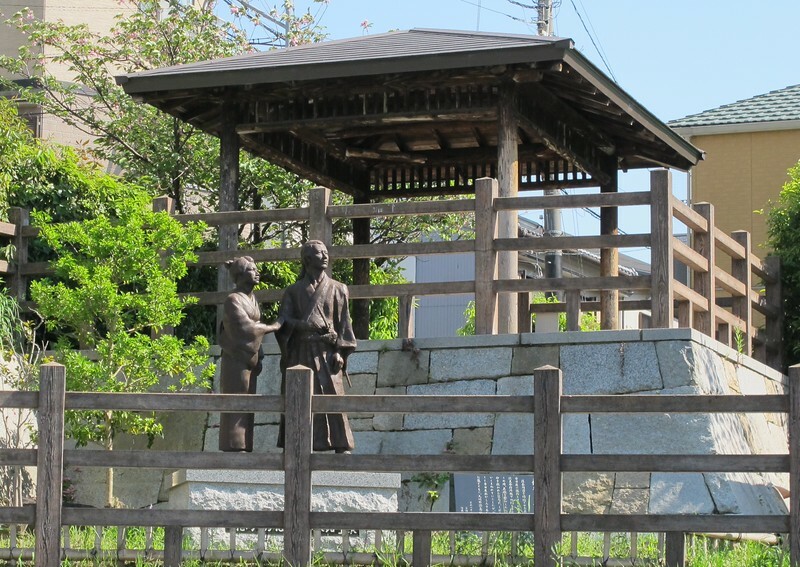 A life size cutout figure of the burly samurai greets you as you step off the train at Chushojima, and a nearby shopping street has been renamed Ryoma-dori Street in his honour. Opening hours: 10:00a.m.-4:00p.m. (entry until 3:30p.m.). Closed on Mondays. Entry to the Teradaya Inn is 400 yen. To read more about Sakamoto Ryoma and the history of those times read my Kyoto Samurai article. 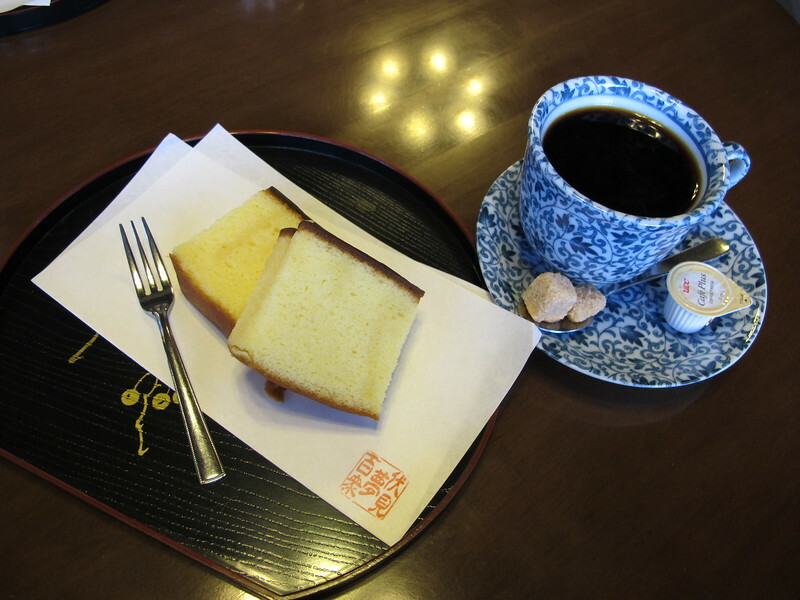 Head back eastward from the Teradaya and then turn right to find the black walls of the Fushimi Yume Hyakushu Café. This is another converted Gekkeikan building dating from 1919. The café inside makes for a pleasant rest stop, and there is also a souvenir shop selling sake and various sake related products. Each spring a sake festival is held in Fushimi. 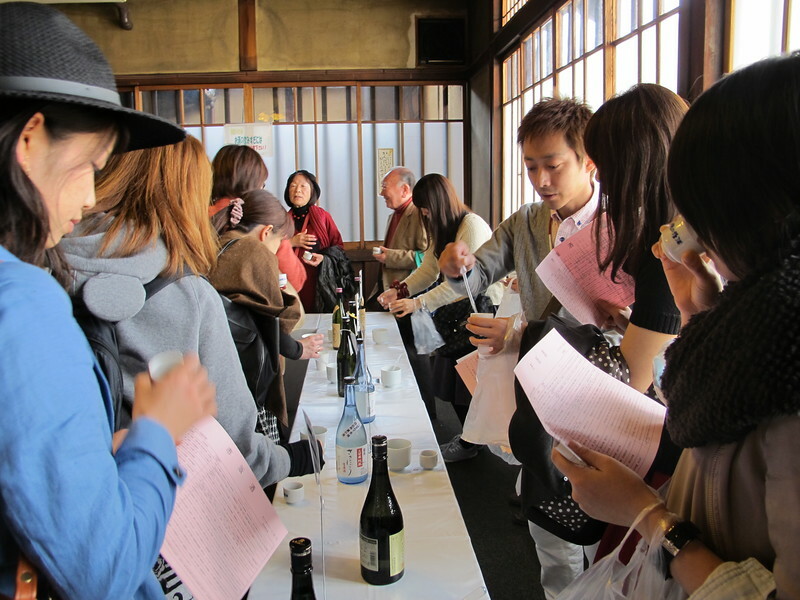 The main events at the festival are sake tastings at two separate locations in which you can sample over 30 different varieties. This is an annual event, but the date (usually in March) is not fixed and tickets for the main sake tastings, which are sold in advance, are limited to just 800 people. Naturally these sell out quickly. If you can’t speak or read Japanese and you don’t live locally, then this makes the event very difficult to plan for. 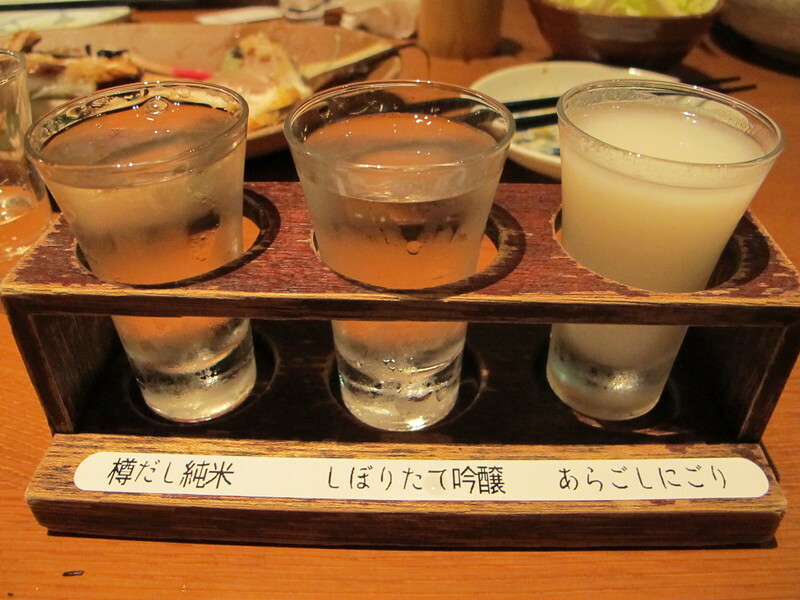 However, unless you are a real sake connoisseur, you don’t really need to taste over 30 different varieties! 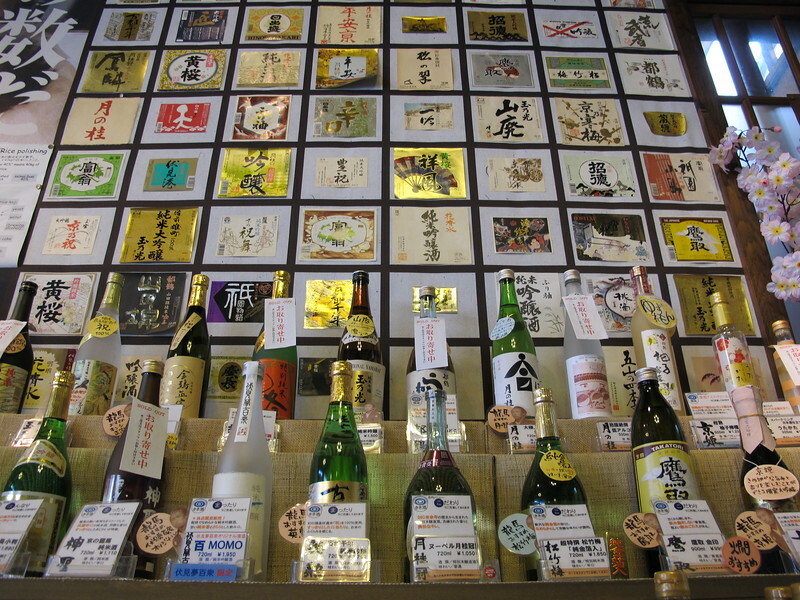 Many local shops and breweries hold smaller sake tastings on the same day that you don’t need special tickets for. The streets are also lively with stalls selling food, ceramics, and other sake related goods. 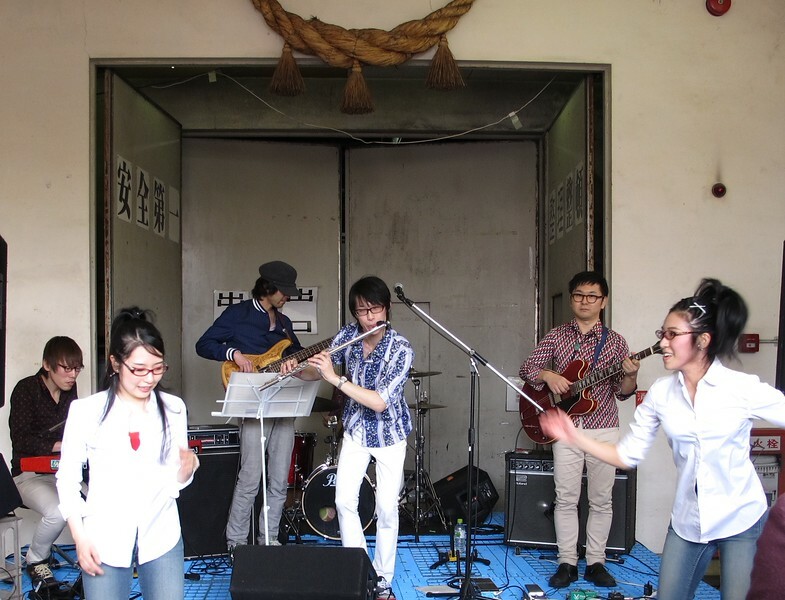 In recent years Fushimi has also held a Jazz festival on the same day at several locations around the town. 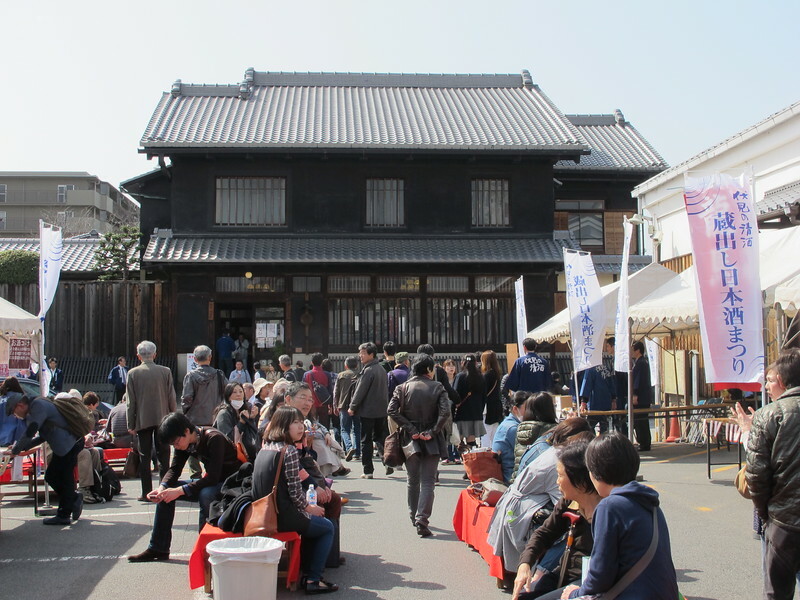 So if you happen to be in Fushimi on the right day in March, you can still take part and enjoy this cheerful local festival. 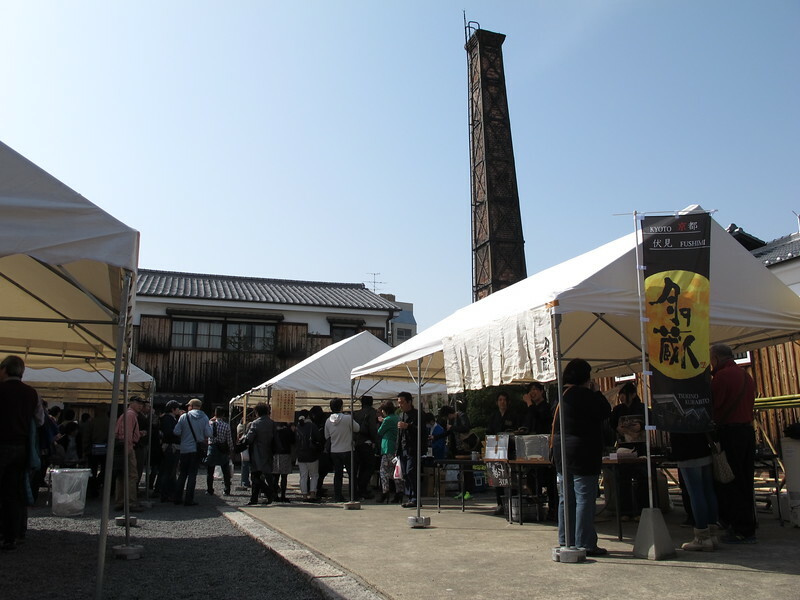 For news of the sake festival and other sake related events, check the Fushimi Brewers’ Association website in Japanese and their very useful and informative English language website. After a hard day’s touring you deserve a good meal. Head north from the Fushimi Yume Hyakushu Café and then turn left on Aburakake-dori Street. 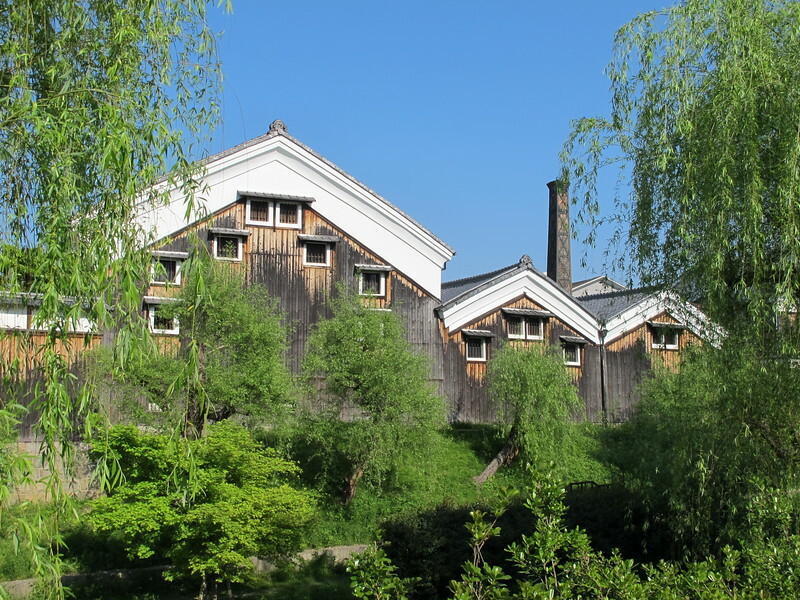 A little further to the west is Kizakura Kappa Country, another converted sake brewery. This building houses a museum, souvenir shop and restaurant. It is the restaurant that we are interested in. This is actually one of my favorite places to bring guests to Kyoto, as it is so much fun. 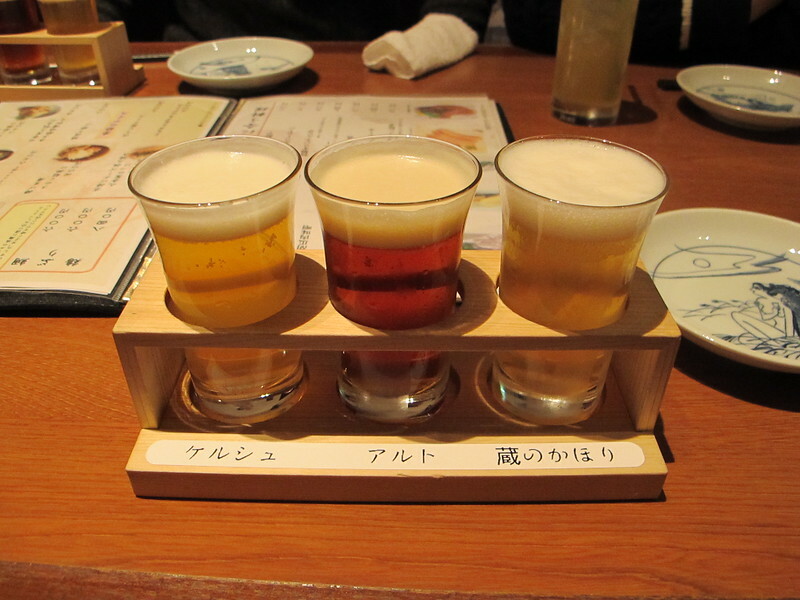 The Kizakura company makes a range craft beers as well as sakes, and you can try them both out here in little taster sets. Once you have found the drink that suits you, you can then order that particular tipple and quaff it to your heart’s content. The food here is pretty good too. 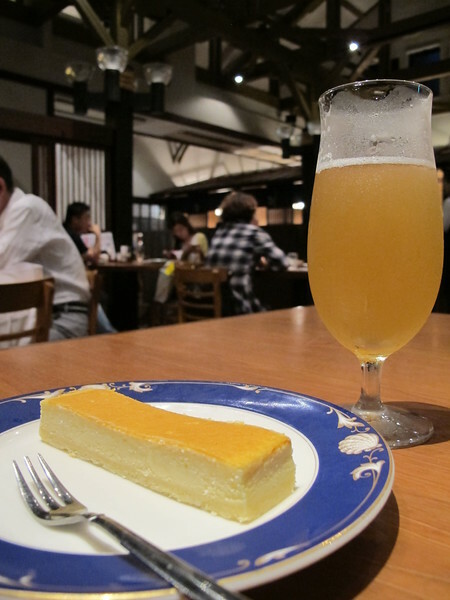 They have the usual izakaya style pub-restaurant fare, but also some unique dishes made with the local brews. Beef stewed in beer with mashed potatoes for example, or sake flavored cheesecake. 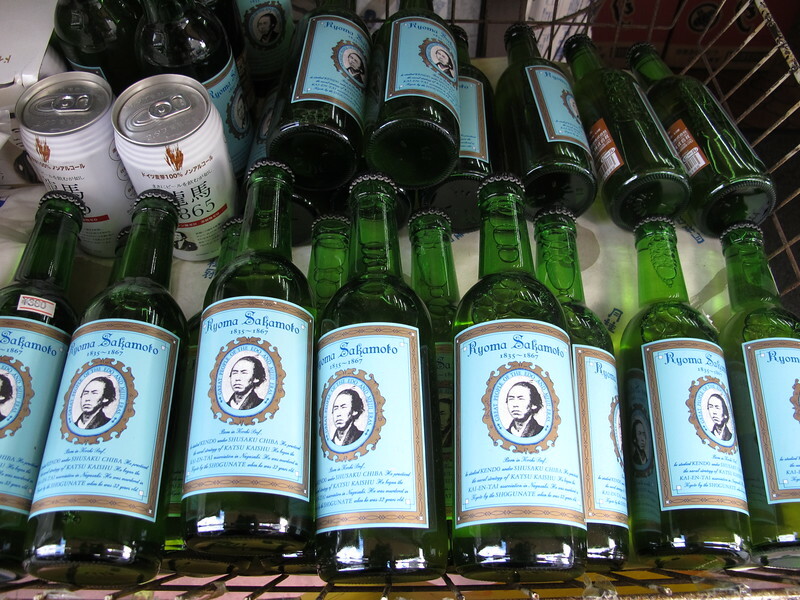 And if you really like any of these drinks you can purchase them at the souvenir shop on your way out. Cheers! Opening hours: Open seven days a week. Check the official website for opening hours, access details and a coupon!